The other day, I saw a reviewer ranting on Facebook. She's a smashing soul, who reviews an incredible number of books - in between writing her own. More than that, she's one of the most open and generous folks I know, endlessly supportive of other writers - so to see her making a number of posts in annoyance was very out of character. So what was the source of the annoyance? An author, who had taken issue with the review - an honest one - she had written of his book. It got to the point where she had to block him because he started swearing at her over her review. Now, of course, that's ridiculous, but what makes it even more ridiculous? It was a four-star review too - he got upset and started swearing at someone who had given of her time and honest opinion because the review was one star short of his perceived perfection. That kind of behaviour is disrespectful to the reviewer, of course - thankfully she had enough sense to dust him off and carry on doing her thing - but it shows even less respect to readers. After all, that's who he's really trying to fool. Perhaps the whole thing bugged me because it followed closely on the heels of an author complaining to me about a review I'd written. It was a one-star review - so I can understand disappointment. But up popped this sudden message on Facebook moaning about the review but congratulating me on an award. I hadn't won an award, but hey, why let some poor fact-finding get in the way of a gripe? There was no attempt to clarify what might have been problematic in the book, just a grump about being given a one-star review. With reviews being important in marketing, of course, I understand why authors are so keen to maximise the scores they have to show the world. 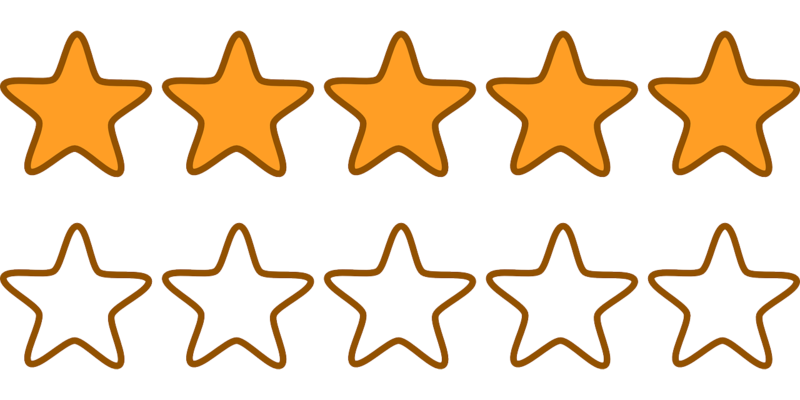 Heck, for some promotional services, an average rating of more than four stars is required to be able to take part. That shouldn't mean manipulating the scores, though - it should just encourage the authors to keep doing better. It's not the only way I've seen authors trying to fool readers in recent times. As well as pressing reviewers for higher scores, lately I've seen an author claiming a bestseller status for their book after listing it in a tiny category unrelated to their actual book, for example. Another author I saw touting their how-to guide - despite constantly asking others for help in that same area. That sort of thing just ends up giving people bad advice rather than pointing them to real experts. I review a lot - and I always give my honest impression of what I'm reviewing. I've been doing it for more than 20 years in a professional capacity, and I think honesty is key. Dishonesty ill serves the person reading the review, and it equally undermines the genuinely good reviews you give things. When I give five stars to something, the person who created it should know I really mean it, that I hold it up as the best of the best. In short, according to the criteria of Amazon's listing, I loved it. A good post Stephen. If you are going to write and publish, you need to toughen yourself in the harsh north wind of reviews. No book ever written pleases everyone, not even the IKEA catalogue! I applaud you for this. Too many times "authors" are trying to game the system rather than produce quality work. I get tired of those "authors" crying for something unearned and undeserved. Write better. Learn from your problems. What they're doing is similar to shady car salesman kinds of tactics. Well said Stephen! It is too bad that A'zon has driven some writers around the bend in their "need" to game the system and has caused some authors to beat those that might otherwise be allies into a position of not wanting to be supportive. In some ways the system is broken, but we should not let it break us. Thank you for taking the time to write this. I agree, the review system is broken on both Amazon and especially, Goodreads. 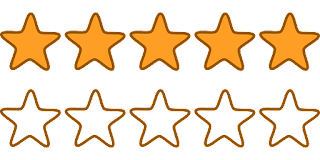 So often I come across authors who cannot handle a bad review, which surprises me, because writing is like any art, it is not going to please everyone. However, at the same time, we as authors must learn how to accept that, and use those bad reviews to improve our craft. I'm no stranger to bad reviews. I'm also no stranger to good ones. Whilst the bad ones hurt I take them as they are meant - constructive criticism. They shape my next book and I take on board what people have said. None of us are perfect and didn't pass a degree in being an Author. We just have stories in our heads that we bring to life. One day I hope to write a perfect piece but we don't start at the top. Even if I did write the perfect story in every way, somebody wouldn't like it. That is why we have to accept that not everyone likes the same things. We all look for something different in our books which is why it's so good there are so many out there. How can an Author honestly complain about a review if they have begged for it at the end of their book? It does hurt but it makes us better - hopefully! Thanks for the responses, all - glad to know it wasn't just me having a moment of raging against folks gaming the system! Let the books be what they are, I say! I guess a lot of people are reluctant to give one- or two-star reviews even if they don't like the book, and indeed often make out the book is better than it is because they want to encourage good reviews themselves. Well done for your honesty. Great post and I totally agree. Loved it. I agree, Stephen. We authors are sensitive creatures, but I'd personally never EVER want a B.S.style, dishonest review. On the other hand, I can tell when a reviewer hasn't even read my book all the way or is just being malicious. Either way, it's only their opinion, which they have a right to express, and it would be beneath me to respond. Had another fellow author tell a similar tale of someone getting in their (virtual) face for a 4-star review. While, yes, as authors we covet the higher ratings to make us look better on Amazon, a thoughtful review is more important. I appreciate your comments about my first book.